$1.7 M found in old trailer! Well, not really. That actually came from a headline on my MSN page, which announced that 1.7M was found in Jamie Olivers restaurant. I didn’t read the story, so I don’t have any of the details. The only thing found in this was a nice double-bitted axe, and three bars of Irish Spring soap, no doubt left in a (futile) attempt to keep rodents out. I DID however, find that I’d laid the three cross stringers on the roof out wrong, and the roof panels are 1/2″ out of square. 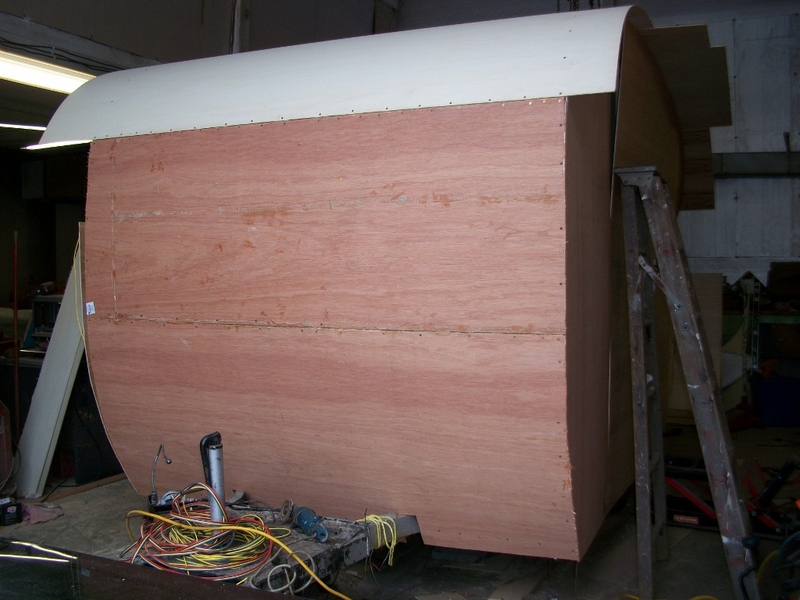 Luckily, they were screwed AND glued to the sides, so there’s no taking them, nor the two full sheets of paneling also glued and screwed down off. 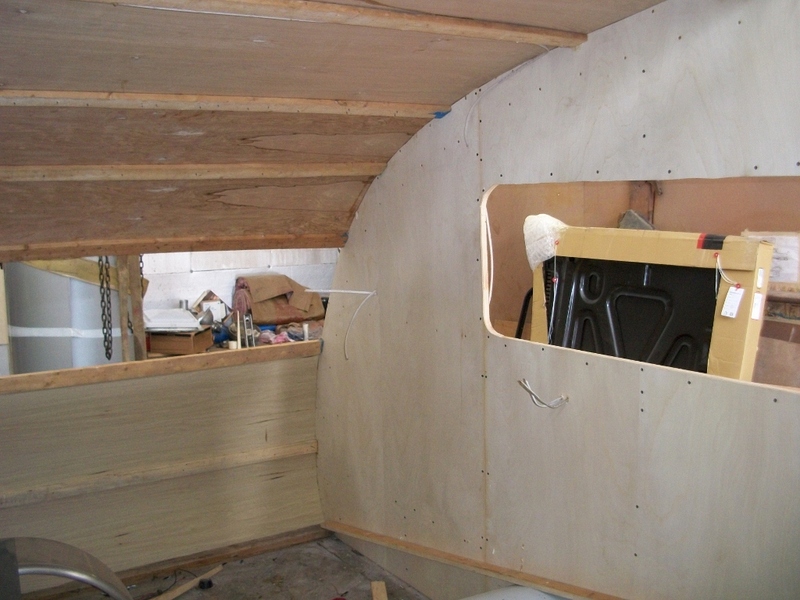 That means the three ceiling pieces of the interior will all have to be cut to fit, with no square corners. This will challenge my abilities, but, that’s what trim is for, right? 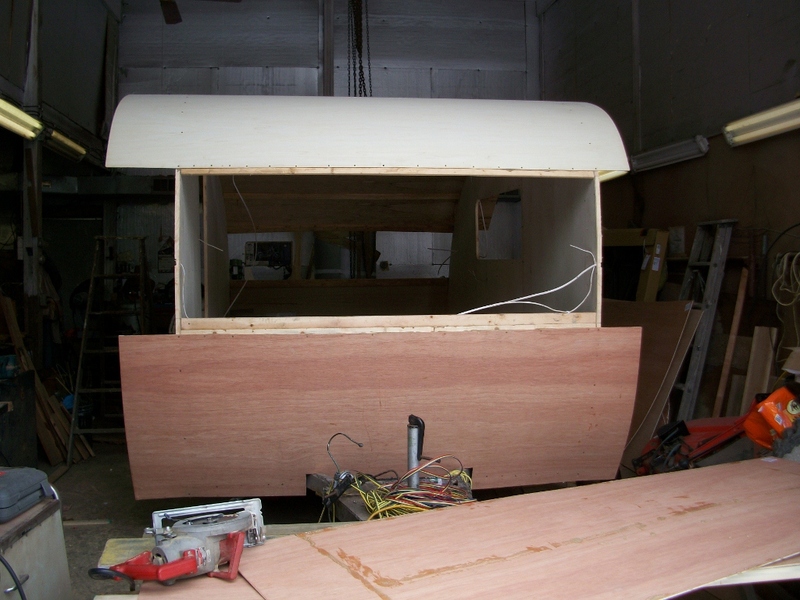 All the wiring is DONE, 110V and 12V, so now, I can get the insulation fit and glued in, the outer skin, seen here temporarily fitted on the sides to cut the window and door openings out, permanently on. It’s been fun, and I haven’t committed too many of my usual construction goofs, other than the slightly out of square roof panels. That little error will make fitting the interior panels on the ceiling a little tricky, but I think I’ve got that figured out. 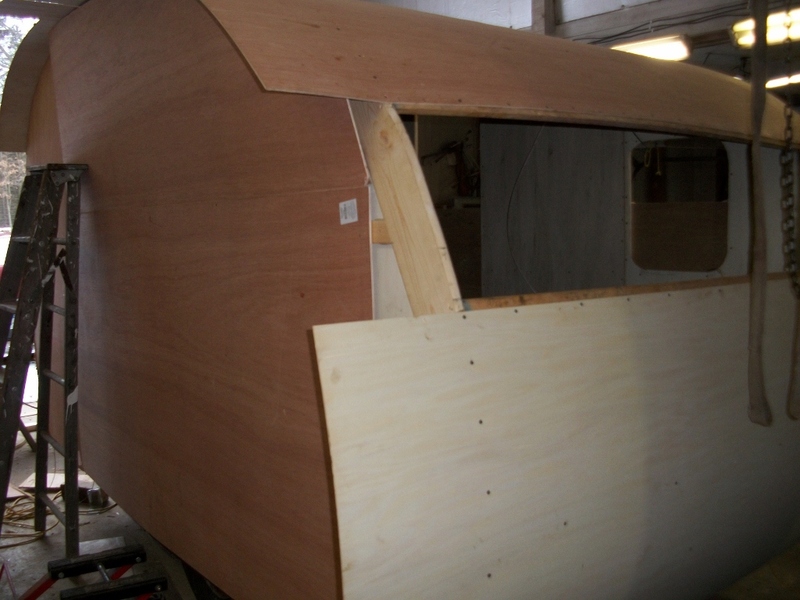 Next up, trim the exterior roof panels, fit the side luan, cut the window/door openings, glue in the insulation, screw/glue the luan back on the exterior, and then get busy on the interior cabinets and flooring. Easy, right? 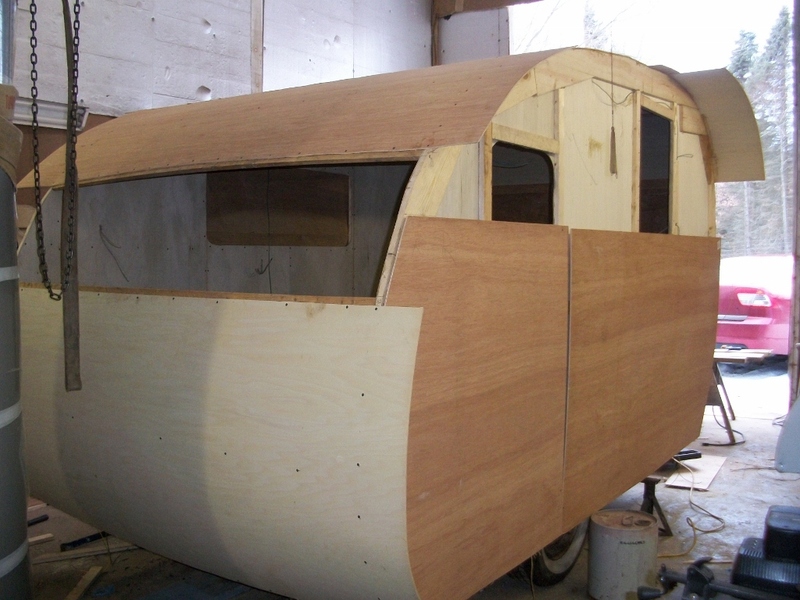 Tini Home Vintage trailer gets walled! Area man survives a month without food in vintage trailer.